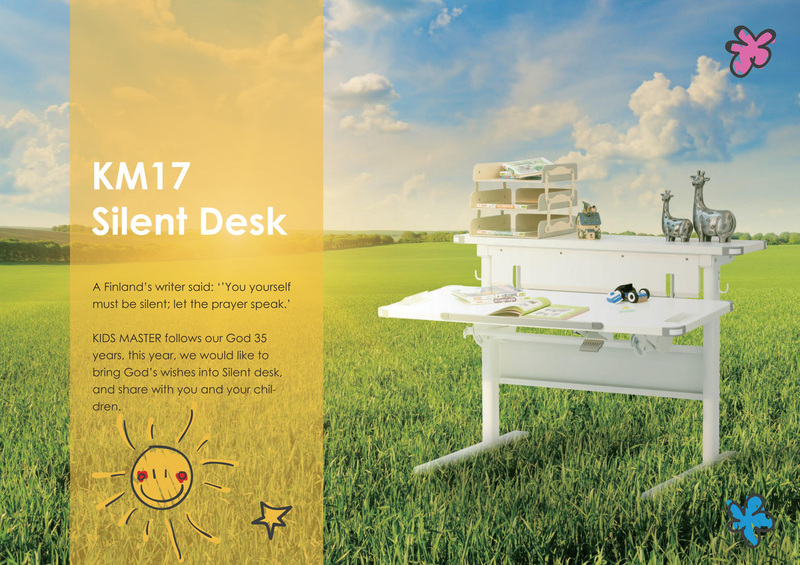 Kid's Master follows our God 35 years, this year, we would like to bring God's wishes into Silent desk, and share with you and your children. Such as a white paper, in order to fulfill children's imagination, they can write and paint without limited. 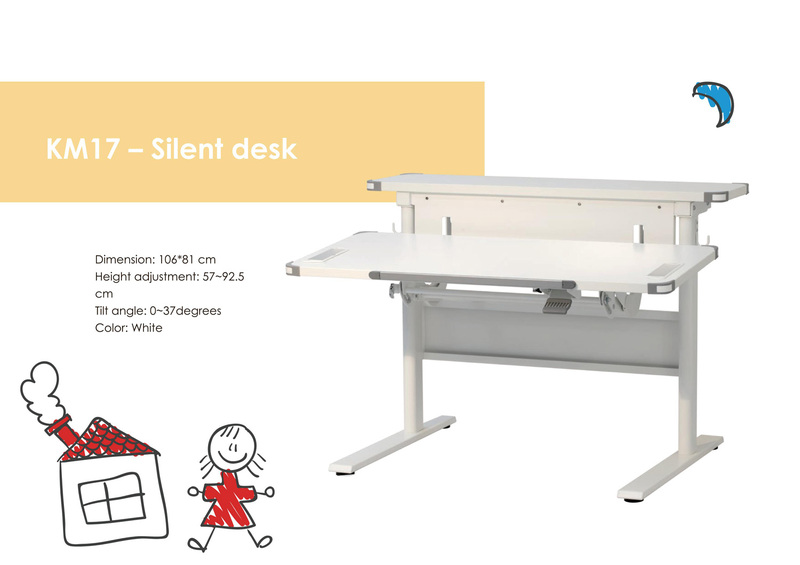 Silent desk is more like a babysitter, accompany children. 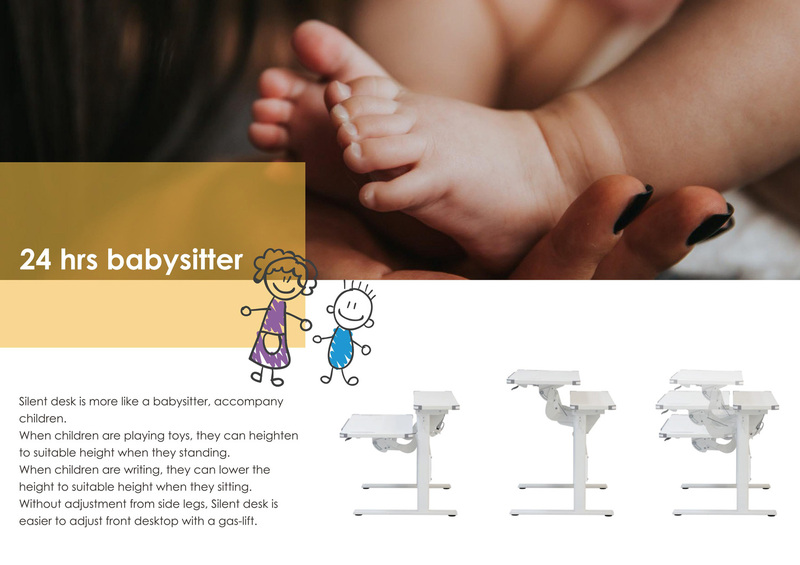 When children are playing toys, they can heighten to suitable height when they standing. When children are writing, they can lower the height to suitable height when they sitting. 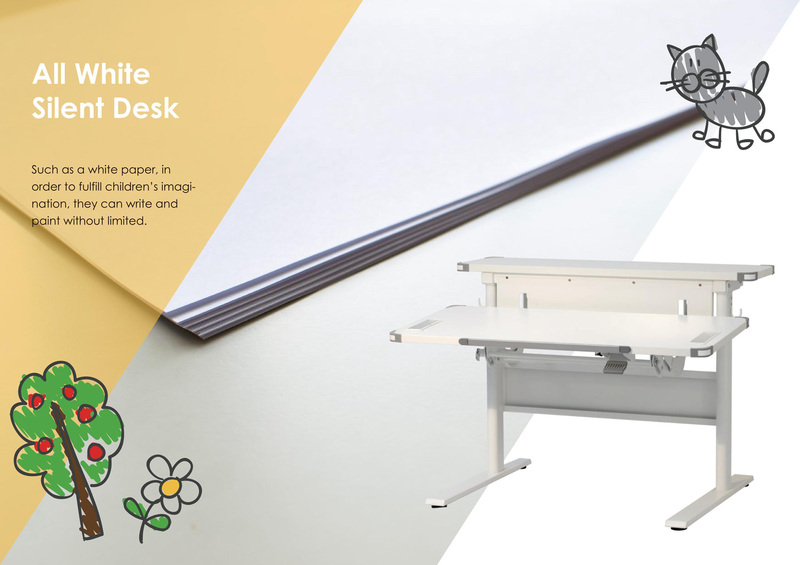 Without adjustment from side legs, Silent desk is easier to adjust front desktop with a gas-lift. 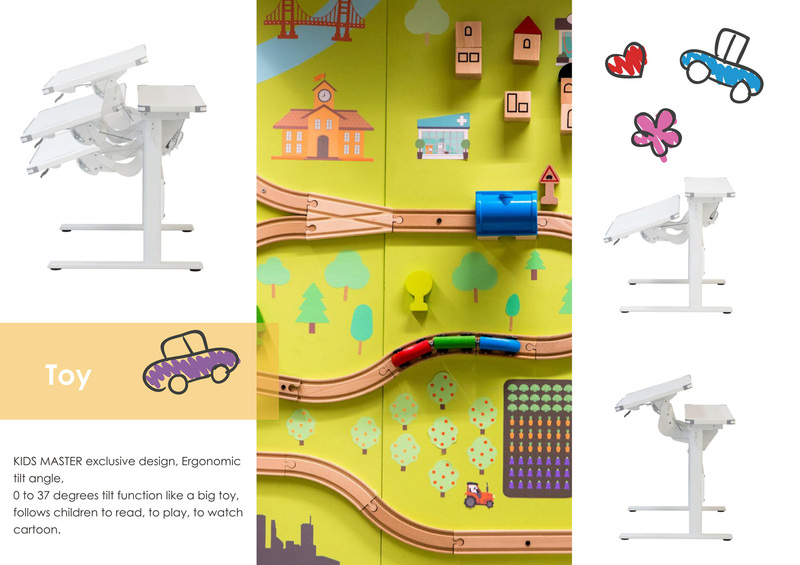 Kid's Master exclusive design, Ergonomic tilt angle, O to 37 degrees tilt function like a big toy, follows children to read, to play, to watch cartoon. Screwed book stop, no need to worry about where to storage, it is there, silently. Support books and iPad when your children are using. 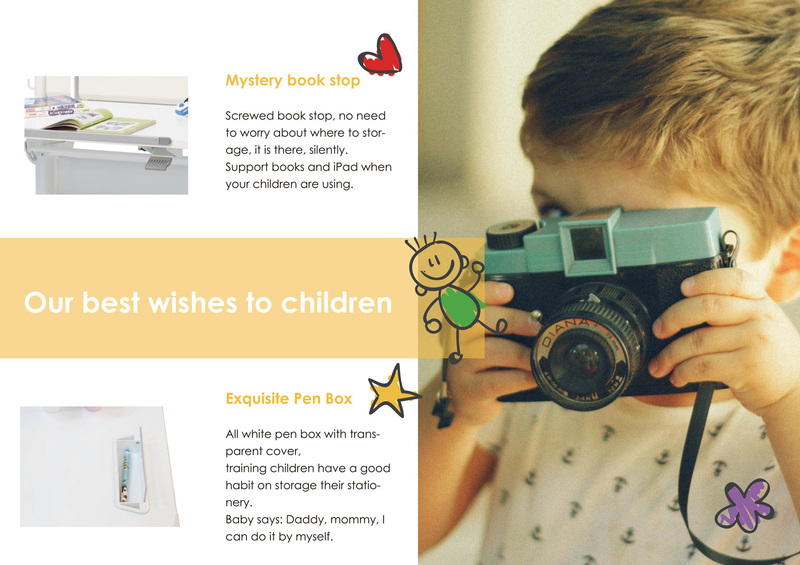 All white pen box with transparent cover, training children have a good habit on storage their stationery. Baby says: Daddy, mommy, I can do it by myself. We used to be a child, we ran, we jumped, and chased other Childs joyfully. 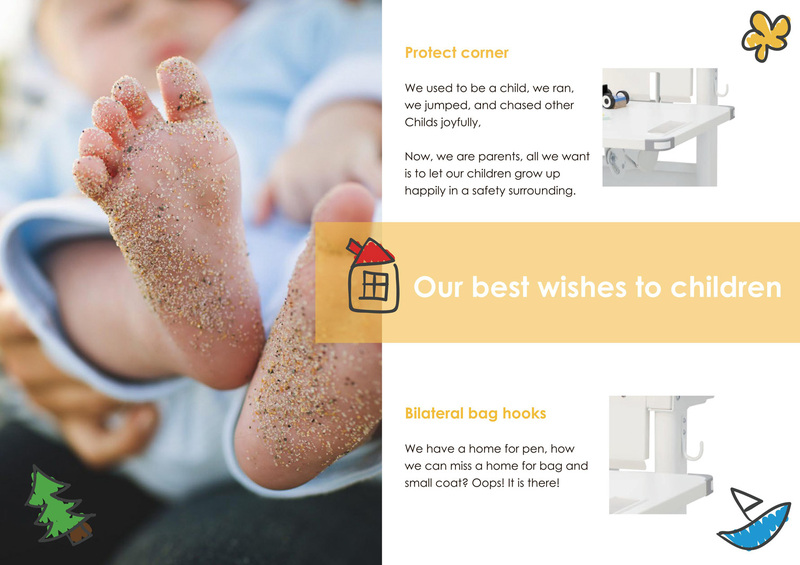 Now, we are parents, all we want is to let our children grow up happily in a safety surrounding. We have a home for pen, how we can miss a home for bag and small coat? Oops! It is there!